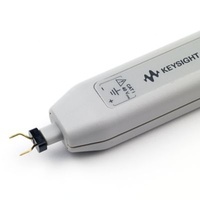 The N2793A differential probe provides superior high-speed differential signal measurements required for today’s high-speed power measurements, vehicle bus measurements and high-speed digital system designs. 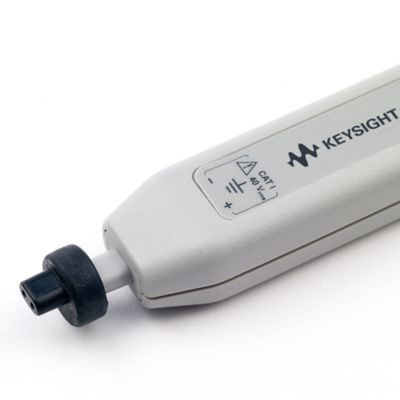 The N2793A differential probes offer 10:1 attenuation setting, allowing them to be used for a broad range of applications. The probe comes with a variety of probe tip accessories for use with large and small components in tight places. The probe also comes with a DC blocking capacitor to block out unwanted DC components of the input signal. The differential probes has an input resistance of 200 k? and low input capacitance of 1 pF to minimize circuit loading. 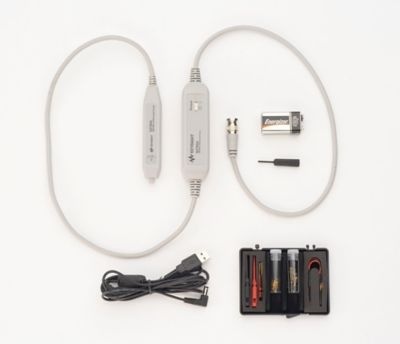 The N2793A probe is compatible with any oscilloscope with 50 ? BNC input. The probe can be powered by any USB port on scope or computer, or by internal batteries (1x 9V battery included with each probe).